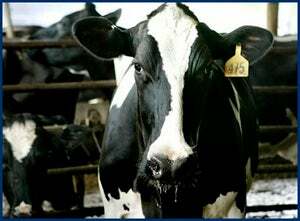 RUSH: ‘Drought, high fuel and feed prices, a surge in international sales and the cost of dairy operations are factors boosting milk prices to record levels and hitting consumers in the pocketbook. In Alabama, the price for a gallon of milk has broken a 2004 record of $3.57 a gallon. Agriculture economists say it could hit $4.50 this summer.’ That means, ladies and gentlemen, that milk now costs more than gasoline does, when priced by the gallon. Now, I wonder if there’s too much profit here for Mrs. Clinton in Big Milk. I wonder if Big Milk needs to keep its hands on its back pockets here because liberal politicians are going to come along and want to take their obscene profits. Meanwhile, gasoline prices are going down. Average price of gas has dropped more than seven cents in recent weeks. This is the first time it’s gone down since January, according to a national survey released on Sunday. I predicted this. Gas prices always go down in the summertime. They always do. You can make book on it. One of the reasons, by the way, our refineries are only running right now 86 or 96%, I’m not sure which, one of those two numbers is right, capacity. We are importing gasoline because even a hundred percent, we don’t have the refining capacity to handle the big demand of summertime driving and people are not cutting back on driving and their purchases of gasoline. So the fact that we’re importing gasoline, that’s what makes me nervous. Not immediately, but down the road. We’re already importing a lot of oil. Now we start importing gasoline to meet our needs. It’s all related to the fact everybody is out there talking about we need energy independence. The various ways to go about getting it are opposed by the same people making the claim that we need it. From the UK Times. ‘The government’s policy of promoting biofuels for transport will come under harsh attack this week from one of its senior science advisers. Roland Clift will tell a seminar of the Royal Academy of Engineering that the plan to promote bioethanol and biodiesel produced from plants is a ‘scam.” By the way, when you hear biofuel, think plants. That’s what it means. ‘He will tell the seminar that promoting the use of biofuels is likely to increase greenhouse gas emissions. Clift’s comments will amount to a direct challenge to Miliband, who has published a strategy promoting biofuels. It coincides with a surge of anger among environmentalists over the weak pledges on climate change that emerged from last week’s G8 summit.’ And boy, you know, you can talk about Bush all you want, but he stuck it to Putin and stuck it to the G8 on the Kyoto protocol. It’s effectively dead. He effectively just wiped it out; made them wipe it out. Now, here’s why biofuels will lead to increased greenhouse gas emissions. It takes too much land to plant the proper plants for biofuels. In order to get the land you have to burn down forests. And when you burn forests, the carbon dioxide that these forests normally scrub from the air will remain. This, according to environmental lore, will contribute to global warming. That’s all hocus-pocus as well. I mean, CO2, we exhale it. It’s not a pollutant. Now, here’s the pull quote of the story. ‘Teixeira’s story began near Lowe’s Motor Speedway on May 14.’ I know you’re wondering, ‘How did they know he’s using vegetable oil in the car?’ Well, he went to Lowe’s motor speedway on May 14th, a NASCAR race, ‘As recreational vehicles streamed in for race week, revenue investigators were checking fuel tanks of diesel RVs for illegal fuel. The investigators spotted Teixeira’s passing bumper sticker: ‘Powered by 100% vegetable oil.’ … Teixeira says revenue officials are just doing their jobs. But he thinks it’s unfair that he was lumped with people who purposely try to avoid fuel taxes.’ Now, he can’t win. Follow all this liberal orthodoxy, go out there and put in this soybean oil in your car and then they nab you for not paying taxes. (Laughing) I mean, it’s not funny, but it is.